Francisco Mela, new Artistic Director for the Twin Cities Jazz Festival, at the Dakota Monday! It's been a bountiful harvest of jazz throughout September and the season continues. Colors are peaking up north, and jazz continues on a high plateau in the metro area. This weekend, hear the official CD release of the Adam Meckler Orchestra's first recording; enjoy veteran ace Dave Karr in acoustic trio format; warm up your toes for tango with Pablo Ziegler; enjoy music from the Continent and beyond in a rare performance of French 75 with Maud Hixson. 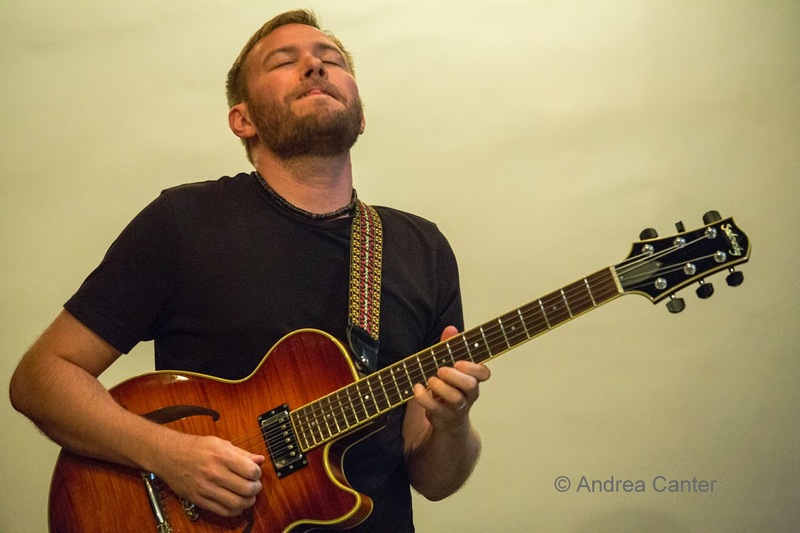 And move through the week with the likes of Jon Weber and Francisco Mela, the Larry Coryell, Victory Bailey and Lenny White, all at the Dakota. And more. Friday, September 26. This is one of those nights when you wish for a clone. Or two. At MacPhail's classy Antonello Hall, the Adam Meckler Orchestra holds is official CD Release (When Clouds Look Like This). There've been several previews lately, from Mears Park to Studio Z, but tonight it's official. It's all original music from Adam, and he also unveils a newer-than-the-recording composition written recently to honor the late Fred Sturm. 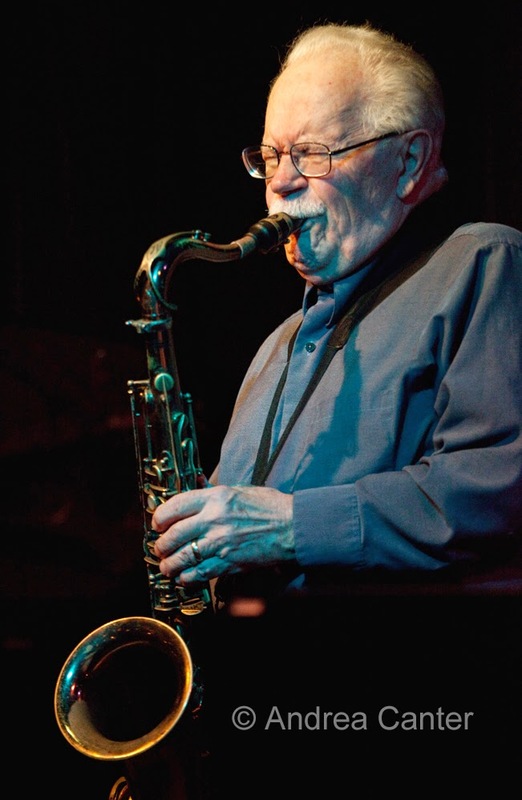 At Jazz Central, the ageless octogenarian Dave Karr leads a trio with bassist Gary Raynor and drummer Mac Santiago. If this is Dave, then this must be bebop at its finest. And downtown at the Dakota, bring your dancing shoes, or at least your tango heart as pianist Pablo Ziegler brings his New Tango Ensemble to warm up the stage. Ziegler was a protegé of Astor Piazzola --'nuff said? Saturday, September 27. The new Saturday Night Jazz at the Black Dog series gets underway under the leadership of Steve Kenny. Most Saturday nights through 2014 and beyond, the Black Dog might resemble the late Artists Quarter, judging from a schedule that includes the Illicit Sextet, Atlantis Quartet, Chris Lomheim Trio, Red 5, Fat Kid Wednesdays, and the first installment tonight-- How Birds Work. With the original cast of Kenny Horst, Billy Peterson, Peter Schimke and Dean Granros, the Birds will soar through original tunes and such revered composers as Coltrane, Coleman and more. Note later than usual start times for the Black Dog--8:30 pm. 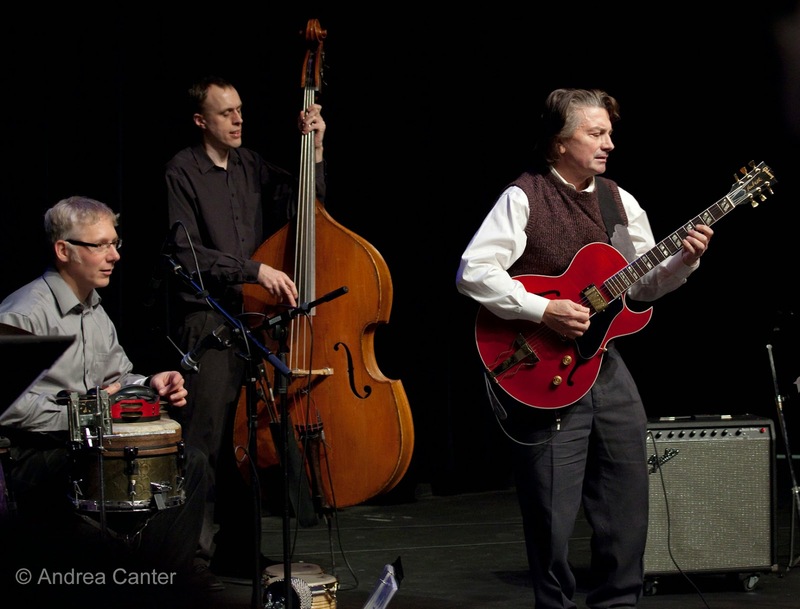 East Side is a swinging quartet with Clint Hoover (harmonica), Reynold Philipsek (guitar), Matt Senjem (bass) and Michael Bissonnette (percussion). Hoover's move to Pittsburgh a few years ago has limited East Side performing at full tilt, but they managed to put together a new studio recording (Astoria) to be officially celebrated early 2015. Meanwhile you can enjoy the music in trio format tonight at Hell's Kitchen. 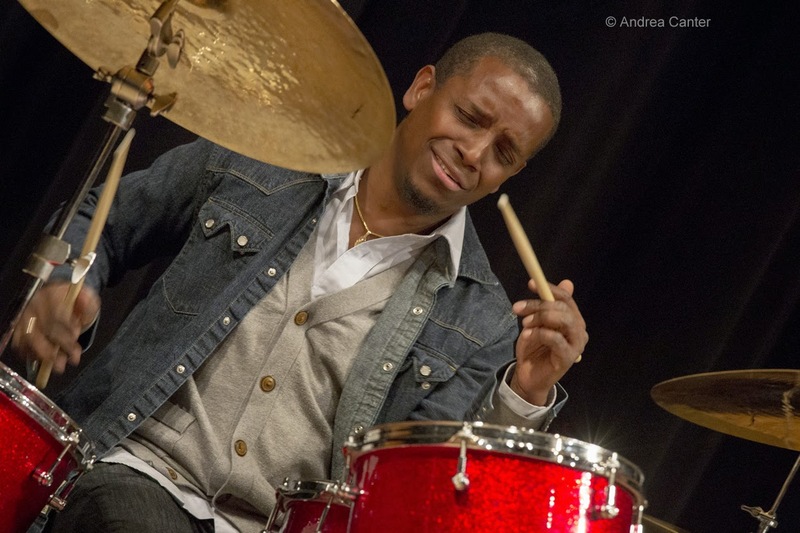 The Jazz Police Young Artists Showcase kicks off a new season at Jazz Central tonight, featuring a quintet from Stillwater dubbed the St Croix Jazz Quintet. The showcase will be scheduled every other month to provide an opportunity for area high school and college ensembles to perform in a club setting. And it gives the jazz community the opportunity to hear the future of the music! Sunday, September 28. About five years ago, a new ensemble devote to music associated with American ex-pats in Europe dubbed themselves French 75 (after the cocktail), hooked up with vocalist Maud Hixson, and began performing around the Metro. 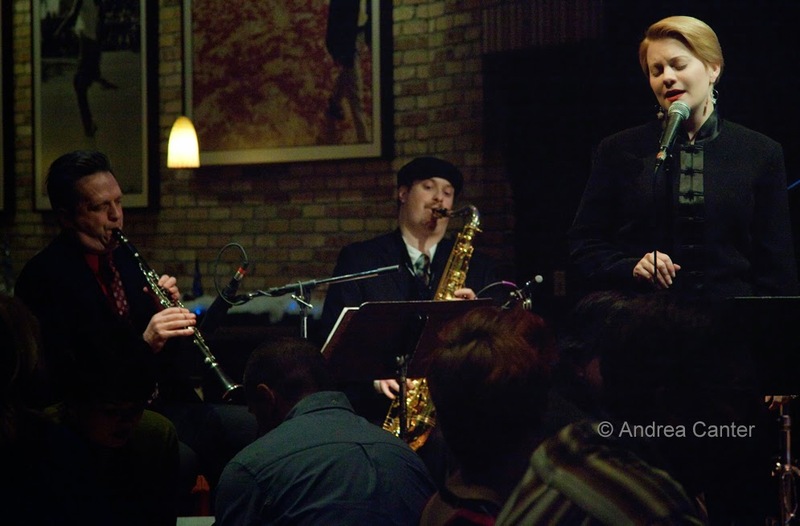 Led by clarinetist Tony Balluff, the band quickly gained an audience at such venues as The Dakota and Hell's Kitchen. 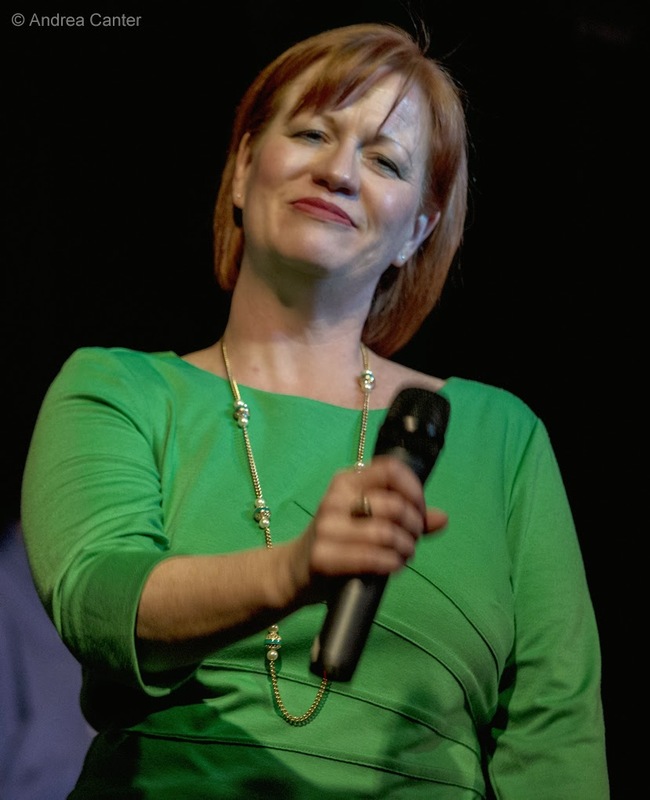 Busy schedules among the musicians have made gigs few and far between, so take advantage of the opportunity to hear "Café Society: From Piaf to Coward" at the Schneider Theater (Bloomington Center for the Arts). It's a 2 pm matinee and a great way to put off raking and other fall chores! Monday, September 29. It's a busy night! At the Dakota, the Twin Cities Jazz Festival will sponsor an unusual pairing of two of the festival's favorite performers, pianist Jon Weber and drummer Francisco Mela. It's a relatively inexpensive cover show ($10), and in addition to the music, you can hear Steve Heckler's festival news-- in addition to presenting Mela as the new Artistic Director of the festival, there's something even bigger, he promises. 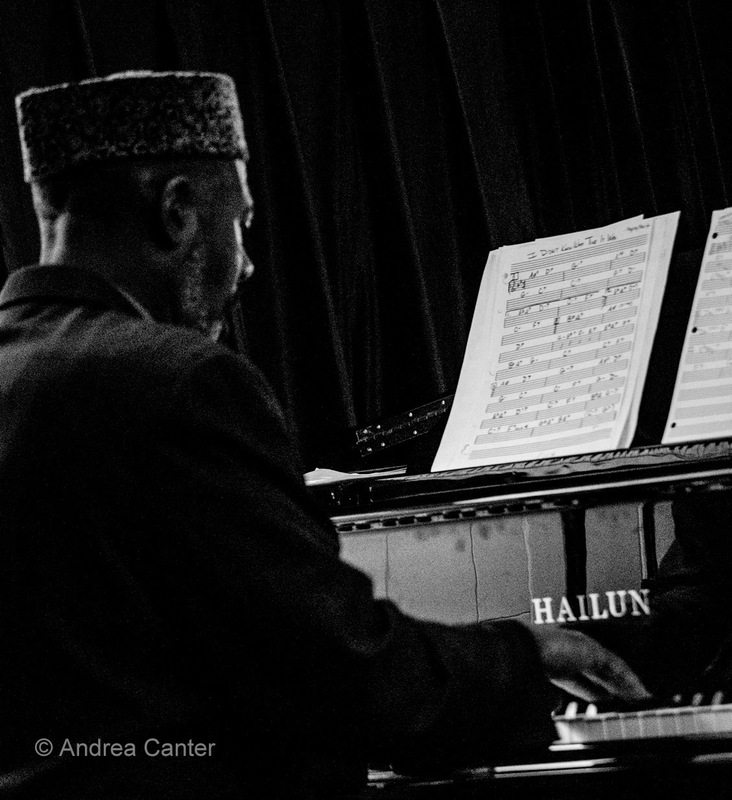 Weber has been the "house" pianist for the festival for much of the past decade, while Mela has gained a local following through his appearances with Joe Lovano's Us Five, Melissa Aldana's Crash Trio (he's the "crash"), and his own Cuban Safari. 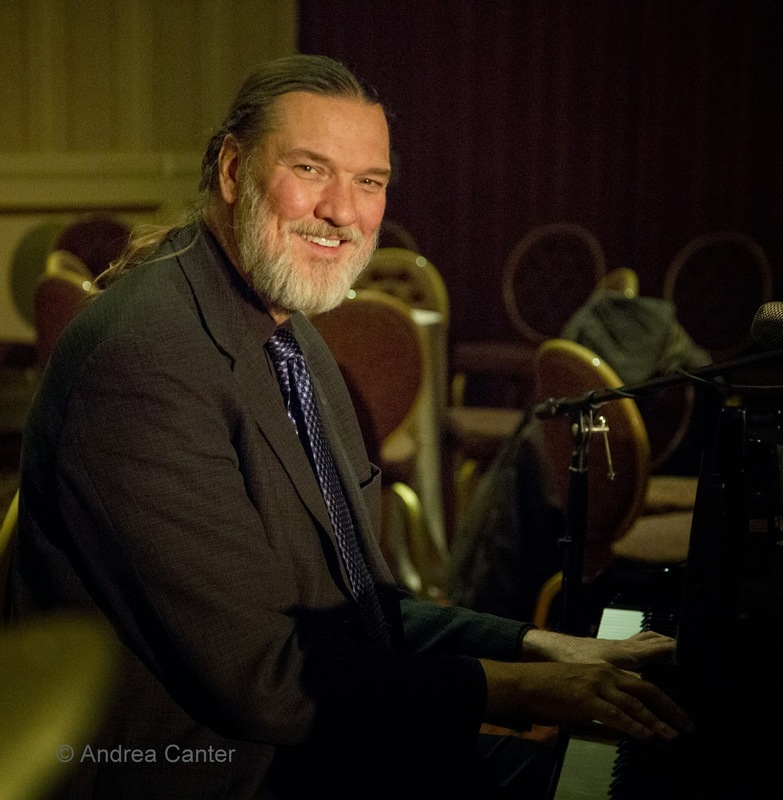 At Jazz Central, the seldom spotlighted pianist Thom West is the featured artist. From his days with Shirley Witherspoon at the old Cafe Luxx to more recent appearances with Lila Ammons, Thom has more often provided support than taken the leading role himself. If you are not familiar with his talent, this is a good opportunity to fix that! 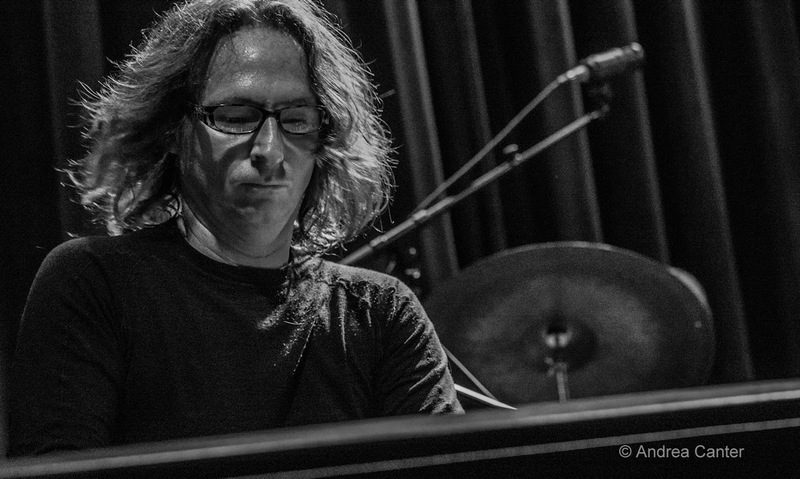 And you can surely squeeze in a late show no matter where you start tonight, and the ever-edgy trio Framework (Chris Olson, Chris Bates, Jay Epstein) will be on stage at the Icehouse as the featured band for Jazz Implosion, with special guest Pete Whitman. Tuesday, September 30. 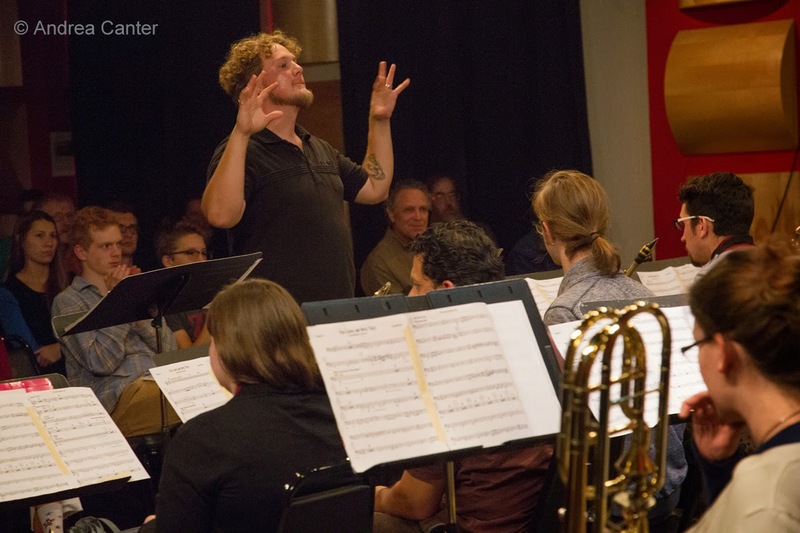 It's the fifth Big Band Tuesday of the month at Jazz Central, which means the Acme Jazz Company will be in the house. Acme is directed by Doug Rasmussen, wit one of the largest sets of original charts of any band in the U.S. Vocals from Arne Fogel are always a treat. At the Black Dog, a unique event celebrating recent releases on locally owned, musician-run label Shifting Paradigms features live music from Zacc Harris, Bryan Nichols, Nelson Devereaux and the Bates Brothers. Tuesday-Wednesday, September 30-October 1. 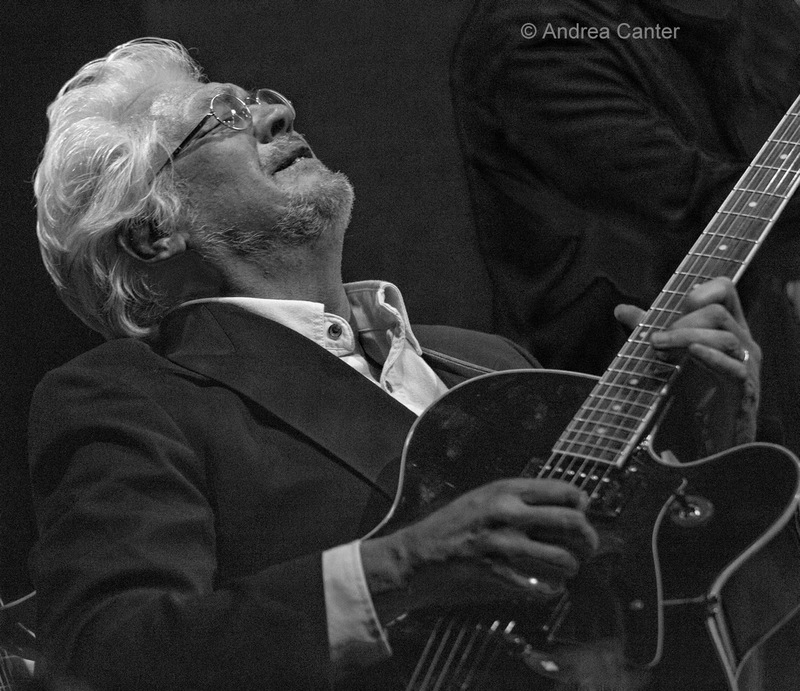 The Dakota has hosted all-star guitarist Larry Coryell in a range of configurations over the years, and this might be the hottest one yet, with bassist Victory Bailey and drummer Lenny White -- meaning the musicians are collectively connected to Miles Davis, Return to Forever, Chick Corea, Stanley Clark, Gary Burton -- you name it. Jazz icons, Jimi Hendrix and Led Zeppelin are all fair game. Thursday, October 2. Young singer/songwriter/pianist Andrew Walesch is growing an audience in the Twin Cities, gigging at the Dakota, Twin Cities Jazz Festival, and smaller venues around town, leading his big band as well as crooning to his own keyboard accompaniment. Tonight he makes his Jazz Central debut on the Thursday Night Vocal Jazz series. Keep an ear on this guy!